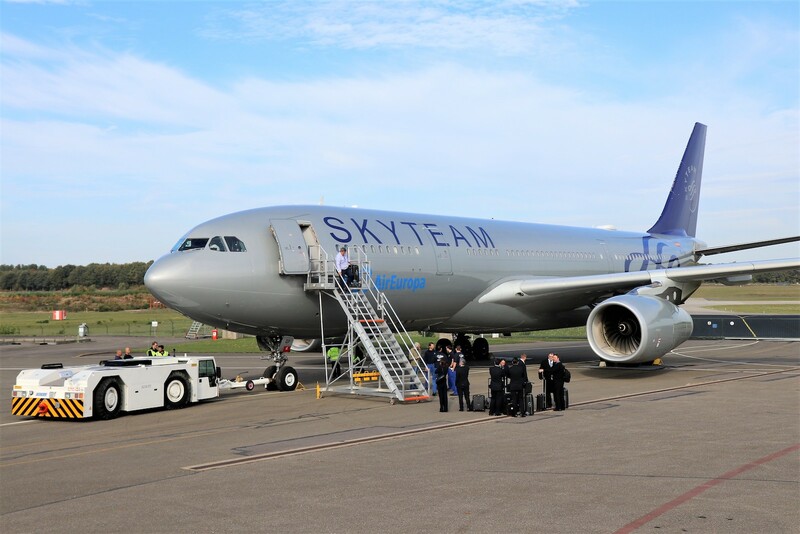 GKN Aerospace’s Fokker Techniek business has successfully completed its first A330 major maintenance project. The aircraft was delivered to Air Europa last week, marking another milestone in the company’s long history as an aircraft MRO. Air Europa (Spain) has previously awarded heavy maintenance projects for its 737 narrowbody fleet to GKN Aerospace’s Fokker Techniek business. Last year the company performed a cabin modification package on another A330 succesfully. The required training, tooling and equipment for wide body maintenance have now all been obtained. Approvals and further commitments are secured to add this first widebody aircraft type to the portfolio.